Friday July 20th – 6.00pm at the club. Come and have a great meal, convivial company and all at a very reasonable price. All welcome. 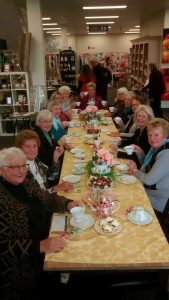 27 people attended the high tea event at Wohlers on Thursday 28th June. Our host Mark was knowledgeable, entertaining and very accommodating. We thank him and the Wohlers family for putting on a lovely morning for us. I would encourage all members to visit the Richmond Rd premises and spend time there. 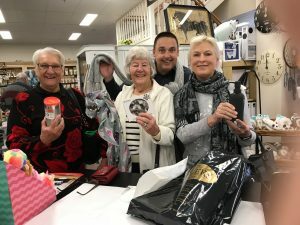 There is a stunning array of quality furniture, homewares and all sorts of gift surprises. 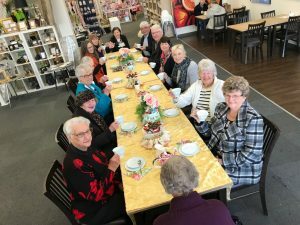 If you are looking to re-model your home, get a unique gift for a friend or relative or just want a cup of tea or coffee with a lovely selection of cakes and scones, then put Wohlers on your must do list. We need to support the people who support us.